Disclaimer: Offer valid from March 1st - March 31st, 2019. 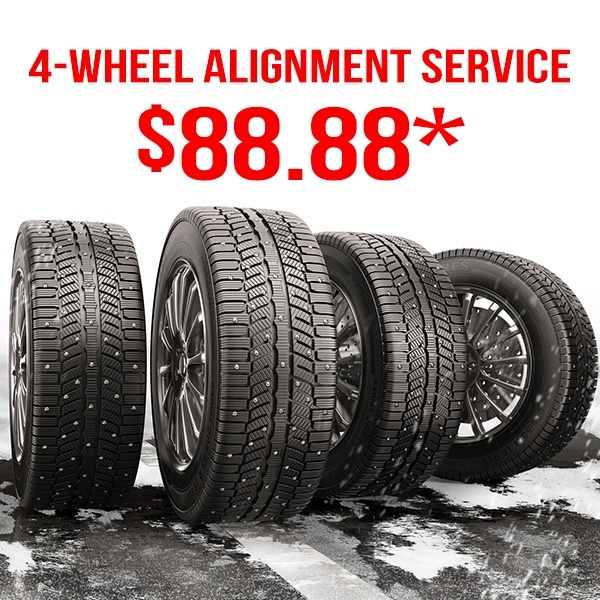 Alignment service available with qualifying Winter Tire Package. Some restrictions apply. Taxes are extra. See Service Advisor for details.